A favorite of audiences and performers, this concerto glows with exuberance and solid structural beauty. You play either the first or second part; or get together with a friend for a thrilling duet concerto eperience with full orchestra! 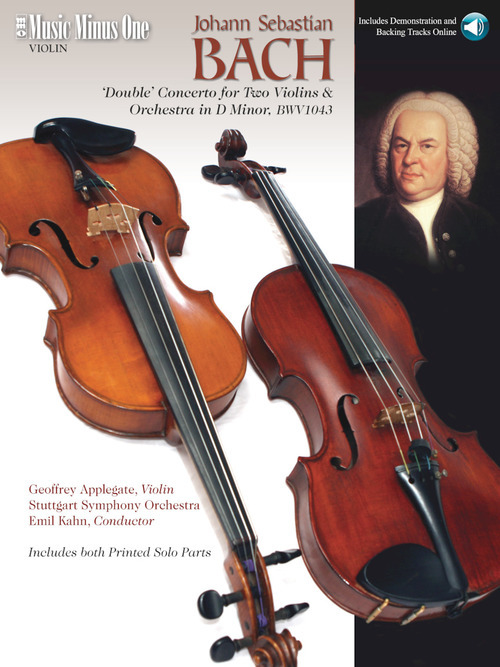 Contains a printed solo part, newly engraved and printed on beautiful acid-free ivory paper; and online recordingins of the complete concerto performed with both solo violins, then again in three accompaniment versions: minus the first violin; minus the second violin; and minus both violins; and the accompaniments given again at -20% speed for practice purposes. The audio is accessed online using the unique code inside each book and can be streamed or downloaded. The audio files include PLAYBACK+, a multi-functional audio player that allows you to slow down audio without changing pitch, set loop points, change keys, and pan left or right.